We have explicitly developed a quality range of Socket Flanges, which is extensively utilized in petrochemical, gas and oil industries for piping applications ensuring no leakage. These flanges are made by using top- notch quality materials ensuring flawless flow of liquefied and gaseous material without any leakage. The flange has smooth bore situations with grinded internal weld. 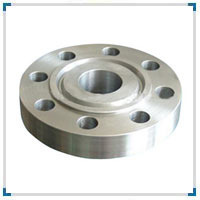 This flange range is available in various faces like flat-face and raised face to suffice the clients’ piping requirements.